Millie Bobby Brown is definitely going places. After her breakout role as Eleven in last summer’s Netflix smash hit Stranger Things, the British teen actress surely has a big career ahead of her. It turns out she could already have nabbed a major part in a superhero movie, though, as she auditioned for the role of Laura – AKA Wolverine’s clone X-23 – in Logan. Brown revealed the news in one of Variety’s Actors on Actors videos, where she was interviewed by Westworld star Evan Rachel Wood. Though she lost out the part to Dafne Keen, Brown says it’s still the best audition of her career so far. It’s easy to imagine that Brown would have been terrific in the part as there are many similarities between Eleven and Laura. Both are emotionally-stunted yet brave and were raised in a facility by a sinister organization. Plus, they both have superpowers. 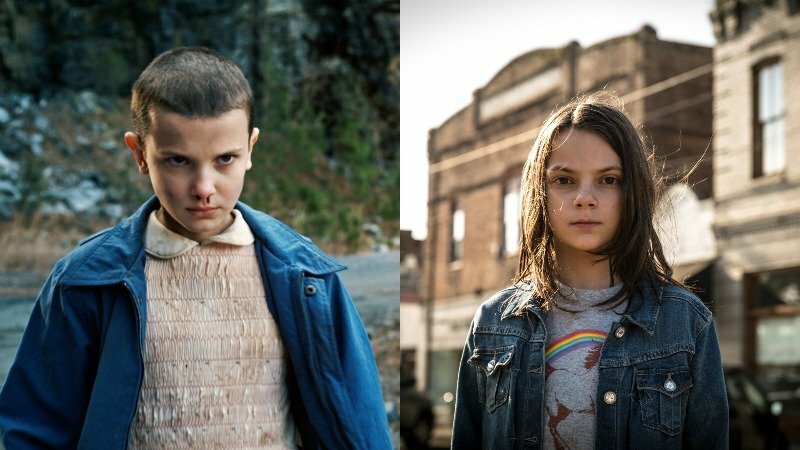 The X-Men franchise is even referenced in Stranger Things, due to Eleven resembling a mutant. In the end though, we think director James Mangold and his team made the right decision with casting Dafne Keen in the role, as she’s just as good as Brown was as Eleven in Stranger Things. Plus, it’s not like the actress’ burgeoning career took a hit from losing the job, seeing as she’s set to star in 2019’s Godzilla: King of Monsters, and we imagine that will be just the first of many big budget blockbusters that we see her in over the next few years. Logan is now available on DVD and Blu-Ray, while Stranger Things will return to Netflix for its second season this Halloween.